Dansk version på blog. Facebook invitation - BunkerLove, 21 July. Flyer - English - Dansk. After a wonderfully CHILLED BunkerLove 2013 at a Regelbau 668 with an existing nest of swallows, we now head determinedly towards the bunker Battery in Furreby and to the PEOPLES' BunkerLove on Sunday 21st July starting at 15.00. The festival will be working with transformation and sensitivity and we want to use the bunkers to celebrate as well as warn of the power of humankind. We will be presenting 7 works and we are hoping for a mild wind for everyone's comfort on the beach just north of Løkken. As a warm-up to the festival, A Walk in the Dark will be performed on Friday and Saturday in Vendsyssel's plantation in Løkken at 21.30. Please share press cuttings about BunkerLove on our Facebook wall (are there any Nordjyske readers amongst us?) we still have a lot of wind in our ears. Voluntary help is very welcome as assistance to the artists as well as the practical tasks this week and on the day of the festival on Sunday. Write to nikkie@bunkerlove.com if you want to participate or just turn up. 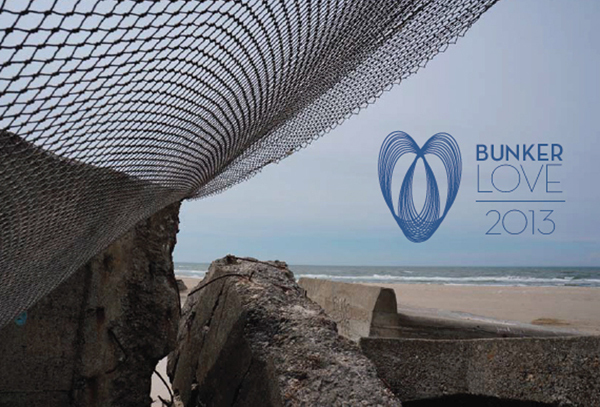 Please note that important elements of the Alert BunkerLove Festival are still on display in Hirtshals! Copyright © 2013 BunkerLove Association, All rights reserved.